How do you get your products into Barney’s (and global distribution) without advertising, glitzy packaging or celebrity endorsements? 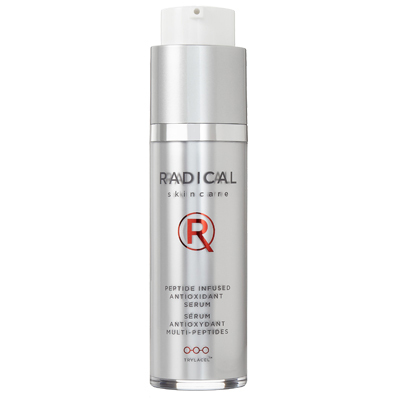 The old fashioned way: word of mouth otherwise known as “it works!” This is the case with Radical Skincare – an LA based line developed by two daughters of a plastic surgeon. I tried their most coveted product called Peptide Infused Antioxidant Serum ($190, 1 oz.). The super antioxidant serum is 300% more potent than comparable anti-aging serums; leading to repairing the skin with a healthy, natural glow. The serum is used twice daily and despite its bronze color and aroma resembling a self-tanner, it does not color your skin. 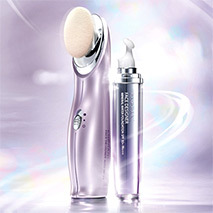 The treatment feels like a light weight moisturizer and doesn’t interfere with makeup application. After a few weeks, I noticed improved elasticity and radiance to my skin. In a study, 89% reported noticeable improvement and with numbers like that, you can’t put a price on honesty and performance.